The makers of Juvederm have now introduced an improved version of Juvederm. Juvederm XC creates a more comfortable patient experience. How you ask? Well, the new and improved Juvederm XC is now formulated with an anesthetic! This creates a more comfortable experience while still providing the same natural and smooth results as the original Juvederm. For those of you who don't know, Juvederm is the only FDA approved hyaluronic acid filler approved to last up to 1 year. It is a commonly used filler used to smooth facial wrinkles and folds, most often for "smile lines". 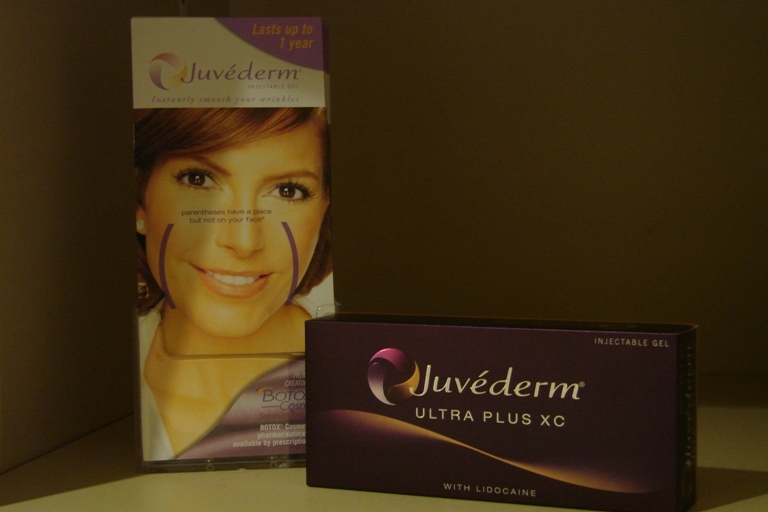 Click the link below for further information on Juvederm and Juvederm XC. Also-Juvederm has created a page on their website where you are able to upload a picture of yourself to see what you would look like after having Juvederm XC injected into your facial wrinkles and folds. It is a great tool to help you visualize how Juvederm could potentially smooth away your unwanted facial wrinkles! Click below to see how you would look with Juvederm XC! Contact our office at 812.842.0240 to set up an appointment to determine if Juvederm XC is right for you!